I have written about the aversion to capitalism (including among business students) before. Given all the evidence about the benefits of free markets—such as the rapid economic growth in many Asian countries in the last 30 years due to increased economic freedom (see the new World Trade Organization report here)—one would think that the aversion to capitalism around the world would be waning. Quite the contrary, most of the Western welfare states have expanded, not contracted, in the past few decades. Likewise, government regulation of most economies has increased, not declined. For example, the United States 2013 Federal Register contains over 80,000 pages of regulations. In addition, governments are subsidizing businesses through loans, bailouts, and tax credits… Why is this happening? And why should and how could this trend toward statism be reversed? Dr. Yaron Brook, the author of Free Market Revolution and Executive Director of the Ayn Rand Institute, addressed these questions directly in his talk ‘Morality of Capitalism’ recently in Europe. Rather than summarizing Mr. Brooks’ persuasive, engaging arguments (you can watch his talk here), I will complement them by answering the question I often hear from my business students: “If capitalism is such a great social system, why doesn’t it exist anywhere in the world?” The implied question is: What is wrong with capitalism? There must be something wrong; otherwise most countries in the world would not have tempered capitalism with socialism (some with more, some with less) and embraced the mixed economy, “the third way,” as an ideal. Capitalism, in Ayn Rand’s definition, is “a social system based on the recognition of individual rights (including property rights) in which all property is privately owned.” In such a system, the state and economics are completely separated, and the government’s only role is to protect individual rights against those who initiate physical force against others. Is such a system impossible and perhaps inconsistent with the requirements of human nature? Capitalism is not impossible, and it most certainly is not inconsistent with human nature and the requirements of human survival and flourishing. Quite the contrary, capitalism is the only social system fully consistent with human survival and flourishing. It is the only system that protects the human means of survival: thinking and applying reason to produce material values. It is a system of freedom, where individuals can choose their work or business and freely trade with others by mutual consent for mutual benefit. It is a system of competition and therefore of innovation, creating better products and better production and distribution processes, leading to lower costs and prices. Have you ever wondered why the consumer electronics industry is one the most innovative, with companies coming up with new, better and cheaper products—smart phones and tablets with ever-increasing functionality, electronic readers capable of holding virtual libraries, portable players for music, audiobooks, and podcasts small enough to fit in the palm of one’s hand? And why has the pharmaceutical industry not come up with any breakthrough innovations for decades? The consumer electronics industry is one of the least regulated—and therefore among the most innovative. The pharmaceutical industry is one of the most regulated—and therefore among the least innovative. Despite the obvious benefits of individual freedom to human well-being, capitalism isn’t popular. Virtually every country in the world (outside of the remaining socialist vestiges such as Cuba and most recent converts such as Venezuela) has opted to compromise individual freedom with government controls, capitalism with socialism, and adopted a mixed economy. Why? 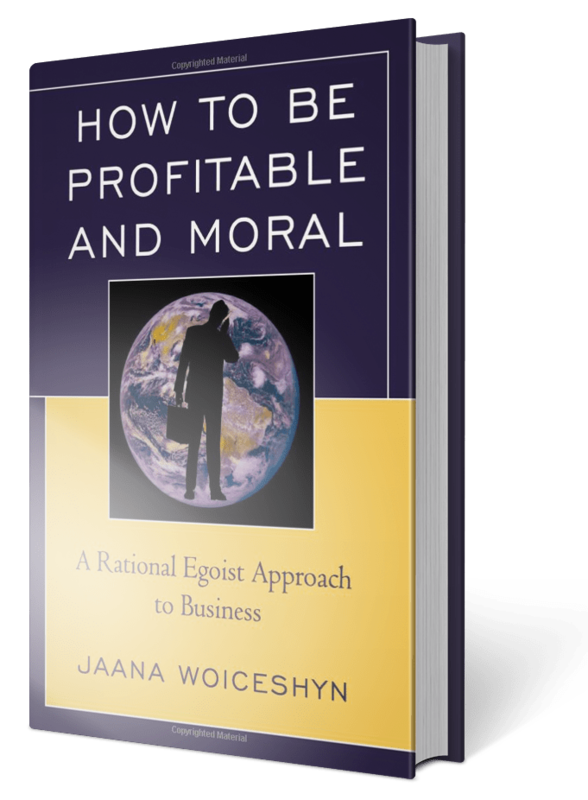 For capitalism to be established and sustained, it requires a basis in moral and political principles. Morally, capitalism depends on egoism, the idea that his own happiness is properly the purpose of each individual and that the pursuit of self-interest is good. Politically, capitalism depends on the principle of individual rights and on government protection of those rights. The closest any country has ever come to capitalism was America in the 19th century; not surprising, given that the United States were founded on the principle of individual rights. However, the moral foundation of America was mixed. Primarily due to the influence of religion, altruism was strong and contributed to the increasing involvement of the government in the economy, to ensure that “common good” was served. However, if we want to ensure human flourishing—indeed human future—we must reverse the trend of expanding state control and interference in our lives. To do so, we must speak up for freedom and individual rights and for the principle of self-interest as the basis of civilized, productive society where individuals and businesses create and trade material values which benefit everyone. Next articleDoes government regulation make us safe? Thanks Jaana, very good topic. IMO Ayn Rand’s greatest achievement was explaining how a morality successful for humans is grounded in the requirements of life. Those who deny the effectiveness of the human mind for life adopt a fixed-pie drive-to-the-bottom view of humans, despite evidence all around them. They have a negative view of people.